The Chilcot report harshly criticized Tony Blair and, by extension, George W. Bush and the United States. Many reading the report—and others before the report was published—concluded that the invasion of Iraq was illegal under international law. I don’t intend to discuss Iraq here. Everyone knows now that we should either have not gone to war or gone with greater force. Most people today agree that the execution of the Iraq war was deeply flawed—even those who forgot to say so or endorsed it at the time. All wars are subject to withering scrutiny after the fact, and there is little I can add on that subject. Rather than rehashing Iraq, I think it is more important to consider the notion of legal and illegal wars. The question of legality is based on the United Nations Charter, which all member nations have agreed to by treaty. That treaty is legally binding. According to the charter, all war-making power (except the immediate defense of a country under attack) is in the hands of the UN Security Council. It must oversee pre-war negotiations, impose sanctions, or take military action, with the assistance of the Military Staff Committee. This committee is made up of the chiefs of staff of the council’s permanent members: the US, the UK, France, Russia, and China. From the US point of view, the constitution makes the president Commander in Chief of the armed forces. All constitutions make clear which office has control of military forces. Under the UN Charter, since only the UN can authorize war, the US president’s constitutional power is subordinate to the Security Council and its Military Advisory Committee. From the bow to the bunker buster to the hydrogen bomb, new technologies have changed the face of warfare, and 3D printing looks set to be just as revolutionary. It's been around since the 1980s, but as key patents expire and access to the technology becomes more readily available, its effects on the military promise to be considerable – though the biggest and most immediate impact may be from a surprisingly humble quarter. Mention 3D printing and it's likely to conjure up images of wonky key fobs brought home as trophies from middle school science projects. But the ability to print solid objects in three dimensions (also known as additive manufacturing) is more than just squirting out molten plastic under the direction of a CAD file. Modern printers can now handle metals, wood, fabric, foodstuffs, pharmaceuticals, and even living cells with not only greater precision than ever before, but also in combination with one another in complex patterns that simply cannot be matched by conventional techniques. With the ability to work with such a range of materials, 3D printing allows engineers to create prototypes of components and even complete devices in a fraction of the time previously needed and at much lower cost. Not surprisingly, such capabilities have attracted the attention of defense contractors and military planners. The question is, how will 3D printing actually change life for the soldier of the 21st century? The most obvious area is that of weaponry. When Cody Wilson unveiled hisLiberator printable plastic gun, it caused a conniption among lawmakers and gun control advocates. Keeping track of firearms so they don't fall into the wrong hands has always been a major headache on the national and international scene, but the idea that anyone with as printer and access to the internet could print a handgun stacks up as a nightmare scenario. NIZHNELENINSKOYE, Russia — Trumpeted for the past decade as an emblem of Russia’s destiny as an Asian as well as a European power, the huge steel bridge thrusts out from the Chinese side of the Amur River, stretching more than a mile across the turbid waters that divide the world’s most populous nation from its biggest. Then something strange happens: The bridge abruptly stops, hanging in the air high above the river just short of the Russian shore at Nizhneleninskoye, a remote frontier settlement nearly 4,000 miles from Moscow. The gap between the bridge and the riverbank — left by Russia’s failure to build its own, much shorter share of the project — exposes the reality behind the pledges of an ever closer Russian-Chinese partnership made when President Vladimir V. Putin met in Beijing last month with China’s president and Communist Party chief, Xi Jinping. It was their 15th meeting. United by a shared distaste for Western models of democracy, wariness of American power and eagerness to find new sources of growth, Russia and China have never been closer, at least at the leadership level. With each meeting, leaders produce numerous agreements for joint projects and pledges to support a Russian “pivot to Asia,” an eastward shift in economic and political focus championed by Mr. Putin since his relations with the West soured over Ukraine in 2014. The unfinished rail bridge across the Amur River, however, offers a more realistic picture of the chasm separating what the Russian foreign minister, Sergey V. Lavrov, recently described as the “truly inexhaustible potential” of Moscow’s “strategic partnership” with Beijing and the reality of unfulfilled promises and thwarted hopes. ** Is the surge in terrorist attacks coincidence or coordinated campaign? Since the attack in Orlando on June 12, the Islamic State of Iraq and Syria (ISIS) has claimed or is suspected of responsibility for ensuing terrorist attacks in Jordan on June 21, Lebanon on June 27, Istanbul on June 28, Dhaka, Bangladesh, on July 1, Baghdad on July 3, and Saudi Arabia on July 4. Are these attacks part of a new global strategy by ISIS or, except for the ISIS label, a coincidence? Whatever the investigations ultimately reveal, the facts may be portrayed (or ignored) to fit narratives written even before the blood has dried. Do the recent attacks represent a surge in terrorist violence? Not really. In the course of the ongoing conflict, similar spates of attacks have occurred from time to time. People tend to view them as evidence of escalation or a strategic shift, as something new and significant, when the cluster of activity is little more than a reflection of chance — several groups of attackers getting lucky at the same time and causing the world to take notice. A similar spike materialized in January with terrorist attacks in Libya, Iraq, Turkey, Afghanistan, Indonesia and Egypt. Another part of the equation is that Islamist extremists, both al Qaeda and ISIS, annually call for attacks during the holy month of Ramadan, which this year ended on July 5. While mainstream Muslims regard bloodshed during the religious period as sacrilegious, jihadists are persuaded that what they misguidedly perceive as noble acts — like killing infidels — will earn them greater reward if carried out during Ramadan. Even greater violence was seen during last year's Ramadan. “Imagine this. An F-18 Hornet acquires a target at sea, an enemy ship, and then passes the track data through Link-16 to any potential shooter with the right munitions and within range of the enemy ship. That information is passed through a gateway to several potential shooters on land such as the Paladin or High-Mobility Artillery Rocket System, or HIMARS.” -- Adm. Harry Harris, Pacific Commander. The emerging concept for warfighting is aimed at vigorously increasing “cross-domain” fires wherein air assets provide fires for ground attack weapons fire support of air forces in real time. This concept also includes Army rockets and artillery to destroy maritime targets such as ships off the coastline, just as sea and air force assets attack targets on land. The above quote, spoken by Adm. Harris, Commander of U.S. Pacific Command, refers to the fast-increasing emphasis upon using air, land and sea weapons and technology through faster, more lethal networking and coordination. While posited at a theoretical prospect, Harris explained that this kind of “cross-domain” fires has already been demonstrated and is now gaining momentum within senior Pentagon circles. A 6,000-personnel strong joint-training exercise last year called Northern Edge, hosted by Alaskan Command above mountain ranges and the Gulf of Alaska, used networking technology to quickly send targeting coordinates from a fighter jet to land-based weapons. Major participating units include U.S. Pacific Command, Alaskan Command, U.S. Pacific Fleet, Pacific Air Forces, Marine Corps Forces Pacific, U.S. Army Pacific, Air Combat Command, Air Mobility Command, Air Force Materiel Command, Air National Guard, Air Force Reserve Command and U.S. Naval Reserve. When it comes to networking technology, one example involves the use of something called Joint Range Extension Applications Protocol, or "JREAP." Seven militants stormed an affluent restaurant complex in one of Dhaka’s diplomatic quarters. While the Bangladeshi government has attributed the attacks to a home-grown terror outfit, Jamaat-ul-Mujahideen Bangladesh (JMB), media reports showed the Islamic State (IS) claiming responsibility for the attacks. One of the things that has become apparent in the aftermath of the attack was the lack of a strong, political consensus against Islamism in Bangladesh. The ruling Awami League and the opposition Bangladesh Nationalist Party (BNP) are at war with each other to the point where national security has lost priority, and events of growing radicalisation and extremism are either overlooked or exploited to score political points. Neglect of growing radicalisation for years has arguably facilitated the rise of transnational terrorist groups like the al-Qaeda in the Indian Subcontinent (AQIS) and the Islamic State (IS) in Bangladesh. 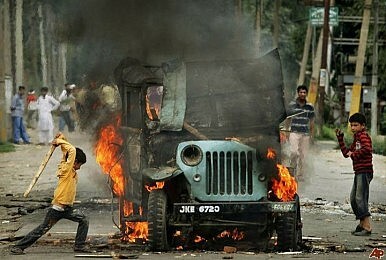 Terrorism and extremism grew in Bangladesh between 2001-2006 when the BNP was in power. The alliance between BNP and Jamaat-e-Islami provided a fertile ground for the growth of groups like Jamaat-ul-Mujahideen Bangladesh and Harkat-ul-Jihad-al Islami (HuJi). Since then Bangladesh has witnessed a growth in the number of madrassas. After the Shahbag movement in 2013, attacks on Hindus, Christians, liberals, secular writers, bloggers and other intellectuals have escalated. Hizbul Commander Burhani Wani’s encounter with security forces and the deaths in the subsequent violence have put Kashmir on centre stage once again. The ferocity of the attacks on the security forces and the unfortunate loss of young lives was accompanied by an outpour of unprecedented media support for terrorist Burhan Wani, and sympathy for Kashmiri separatism. It is difficult to ascertain how much of this support fuelled further violence, but if the “secular” and “liberal” support for Kashmiri ‘right to self-determination’ was out of conviction, there were a few visible signs of it before May 2014. One anchor compared Burhan Wani to Bhagat Singh— a clear insult to the legendary Indian freedom fighter. One wonders what Bhagat Singh or his friend Ashfaqullah Khan would have thought of being associated with sectarian and secessionist forces, out to wreck the nation in their own life time. Another journalist sighed as to whether India, as a nation, had a soul at all? One other tried to paint Burhan Wani as a poor headmaster’s son, employing social media as his medium of protest. Banner headlines are spread across photos on social media pages, and reports in a section of the media barely conceal their support for Kashmiri secessionism. This support has been a gradual build up. At the core of the JNU controversy, which was largely construed as a ‘Freedom of Expression’ issue, also lies Kashmiri secessionism and its open advocacy. Leftist professors spoke of Kashmir being a military occupation, and anchors opined that sanctity of flags or national boundaries were nothing but retrograde ideas. You make an argument that turning it into a moral issue will not work to resolve climate change. But that is the argument globally civil society deploys. Do you think it's the failure of civil society to use the moral argument better or the argument is inherently built to fail? I think it is an approach that is very ill suited to this particular problem. This whole issue of presenting it as a moral issue to my mind that actually is a capitulation to a kind of neo-liberal ideology which tries to reduce all collective action to cases of individual choices. As I say in the book, I think that you can actually argue the morality of it very easily. What are the dominant parameters of morality, especially in the English-speaking world in neo-classical economics of one kind or another? Looking at a lot of literature on the justice literature on climate change, which was very striking to me. How many approach it from a Rawlsian perspective. Essentially within that perspective the results that you get in relation to morality are not at all what you and I would imagine. It's been very interesting for me to especially think of it in terms of Gandhian approach to politics and morality. Part of our political priority is this whole idea that you have to be the change that you want to see. Actually, it is in some sense an embrace of complete neoliberal model that you reduce all collective action problems to individual action problems and let all collective institutions off the hook. That for me is really one of the major problems with the morality thing. Secondly, to approach this issue from moralistic perspective you shall always be weakened by the deniers. They are going to reduce it to a question of individual sacrifice: What have you sacrificed? Why are you wearing that shirt? Why are you sitting in an air-conditioned room? You are actually handing them the tool with which to bludgeon you. I have seen this so often, repeatedly. People have become accustomed to this neo-liberal individualising morality. What they want is to reduce the question of individual sacrifice. Not institutional and not collective. Conversely, you enter this problem and you get caught up in it at so many levels. Many major climate scientists Kevin Anderson and several others, Michael Mann, they also have now started talking about this in terms of individual sacrifice. Kevin Anderson particularly. I really admire the man. I think he is great. But you can see he is filled with this kind of anger, at the same time you can see equally that this is a kind of protestant thing. He feels that he is in a church. KABUL (Reuters) - The former head of Afghanistan’s main intelligence agency released documents on Thursday which he said showed that Pakistani intelligence services helped leaders of the Taliban and the feared Haqqani network in 2014 and 2015. Rahmatullah Nabil stepped down from the National Directorate of Security (NDS) in December last year after opposing Afghan President Ashraf Ghani’s efforts to improve relations with Pakistan and include Islamabad in peace talks with the Taliban. Nabil told a group of journalists in Kabul that he had released the documents to provide concrete evidence of Pakistan’s collusion with the Taliban and the associated Haqqani group, which has been blamed for a series of kidnappings and high profile suicide bombings in the capital. Pakistan’s foreign office and the army’s media wing did not respond to several written and telephoned requests for comment in which Reuters outlined the accusations levelled against Pakistan. The failed coup attempt by elements of the Turkish Armed Forces on July 15 will enable President Recep Tayyip Erdogan to establish himself as an authoritarian ruler in Turkey. His priorities in the next few months will be to solidify the loyalty of the Turkish military establishment and complete the constitutional reform necessary to replace Turkey’s parliamentary democracy with an executive presidency, his longstanding goal. A post-coup Erdogan is much less likely to submit to American pressure without major returns. Erdogan immediatelydemanded the extradition of political rival Fethullah Gulen from the U.S., accusing Gulen of plotting the coup and condemning the U.S. for harboring him. Erdogan will likely deprioritize the fight against ISIS, undermining the counter-ISIS mission in Syria, as he focuses on consolidating power. He may even revoke past concessions to the U.S., including permission to use Turkey’s Incirlik airbase for counter-ISIS operations. Erdogan’s purge will be severe. He declared that the coup attempt was “a gift from God … because this will be a reason to cleanse our army,” in a victory speech on July 17. Turkish security forces immediately arrested over 3,000 soldiers, dozens of colonels, and four high-ranking officers as they reestablished control starting July 16. The subsequent purge has removed approximately one third of all general officers. Erdogan will try the coup leaders and participating rank and file soldiers for treason and approve the reinstitution of the death penalty if passed by Turkish Parliament. He will eliminate political rivals and dissenters and consolidate social control. He is already using the allegation against Gulen to justify a broad crackdown against the judicial establishment and civil society elements allegedly linked to Gulen, including the dismissal and arrest of nearly 3,000 members of the judicial establishment. He has also dismissed at least 8,000 police. His consolidation phase will require significant time, attention and resources for the next few months. He must meanwhile balance national security concerns, including domestic threats from ISIS and the Kurdistan Workers Party (PKK), as well as a tenuous détente with Russia. China has been expanding its frontiers ever since it came under communist rule in 1949. Yet no country dared to haul it before an international tribunal till the Philippines in 2013 invoked the dispute-settlement mechanism of the United Nations Convention on the Law of the Sea (UNCLOS), thereby setting in motion the arbitration proceedings that this week resulted in the stinging rebuke of China’s expansive claims in the South China Sea. The trigger for Manila approaching the International Tribunal for the Law of the Sea (ITLOS) was China’s capture in 2012 of Scarborough Shoal, located close to the Philippines but hundreds of miles from China’s coast. ITLOS then set up a five-member tribunal under The Hague-based Permanent Court of Arbitration (PCA) to hear the case. Despite strenuous Chinese efforts to dismiss and discredit the proceedings from the start, Beijing tried unsuccessfully to persuade the tribunal that it had no jurisdiction to hear the case. Last October, the tribunal said that it was “properly constituted” under UNCLOS, that the Philippines was within its rights in filing the case, and that China’s non-participation in the proceedings was immaterial. Now in its final verdict delivered unanimously, the tribunal has dismissed Beijing’s claim that it has historic rights to much of the South China Sea and ruled that China was in violation of international law on multiple counts, including damaging the marine environment through its island-building spree and interfering with the rights of others. On July 13, while testifying on programs to counter ISIS messaging on the Internet, Richard A. Stengel, Undersecretary of State for Public Diplomacy and Public Affairs, repeated a warning about coming terrorist acts that Obama administration officials have been voicing for weeks. Stengel said, “I think now because the digital caliphate [ISIS’ videos of beheadings, of firing squads, of torture of men, women, and children designed to recruit fighters for Syria and Iraq] is shrinking, they [ISIS] are looking for people who have mental health issues, who are psychotic and they are trying to pinpoint those” to carry out so-called lone wolf attacks all over the world. Russia’s actions in the Ukraine has brought new attention to the concept of “hybrid warfare”. The uptick of interest has been spurred by the waging of hostilities on multiple levels and specifically the seeming novelty of using irregular, political, and information operations in conjunction with more traditional coercion. Such tactics are meant to identify, exacerbate, and create divisions in societies that can then be exploited by an adversary seeking to advance an objective or at least constrain a state’s ability to act decisively. While much of the scholarly discussion – when it is not focused on whether hybrid warfare is an actual development or simply a bundling of old ideas – has dealt with the implications for Eastern Europe, it is important to note that the United States has been targeted by foreign governments using aspects of “hybrid warfare” since the beginning of the Cold War and in some cases even prior to the commencement of that era. Not only the Soviet Union (by which Russia’s actions seem to remain so heavily influenced) but China and smaller states such as Cuba directed efforts at creating unfounded dissension and even violence within the United States. Given the likelihood that foreign efforts to disrupt U.S. political discourse – in furtherance of stymying decisiveness about decisions regarding developments beyond its borders - will continue, it is worth examining the paradigms that a foreign government endeavoring to manipulate U.S. policy might attempt to create. First, a foreign power may seek to nullify voices which it perceives to be hostile to its interests and may use means as drastic as murder to do so. Reducing the impact of U.S. constituencies undercuts policymakers’ by giving them a seemingly diminished mandate to justify difficult decisions. While working to nullify certain voices, foreign governments attempt to unleash others that seek to undercut the legitimacy of the U.S. government. Of interest to foreign governments seeking to chip away at the U.S. government’s ability to act are voices which contribute to three broad categories of activity: lawlessness (i.e. those individuals and organizations that are an active affront to authorities); militant and extremist movements (e.g. Cuban collusion with leftist radicals during the 1960s and 1970s); fomenting distrust of the U.S. government (e.g. Soviet encouragement of conspiracy theories surrounding the assassination of John F. Kennedy); and portraying the U.S. government as indifferent and weak when it comes to the needs of its population – a theme usually accompanied by the token gesture of a foreign government, such as Venezuela in its subsidized heating oil program. This hearing will examine current threats to the U.S. homeland, especially from radical Islamist terrorists, and will review the efforts of the federal government to counter other emerging threats. Witnesses will likely discuss the danger of foreign-inspired homegrown extremists, the role of global terrorist organizations in their radicalization, and efforts to prevent terrorist infiltration into the United States. The hearing will also examine continued and emerging threats to cybersecurity and our critical infrastructure. And one I’m not so sure about. There’s a saying that where you stand depends on where you sit. When it comes to energy, that holds true. For example, while I am an energy guy in general, I have spent much of my time in oil and gas. That colors how I see the future (and the present, for that matter). People who are deep into solar almost certainly have a different perspective. A mother in Africa cooking over a wood-burning stove might have a third. And a coal miner in West Virginia yet another. Finding a consensus about what to do next and how, then, becomes difficult. And that is one reason why I find Bill Gates an interesting voice on energy issues. Having spent his life in IT and philanthropy, his views do not fit into a single box—and are all the more refreshing for that. He does have skin in the game. In 2015, he founded a $1 billion clean-energy fund, the Breakthrough Energy Coalition, which is devoted to research and developmenton clean energy. He also has been active on issues related to climate change and nuclear power. If I were to sit down with Gates over a latte in Redmond, we probably wouldn’t agree on everything. But I think he asks the right questions, in the right way. Here are a few comments Gates has made over the years on energy that I found particularly interesting, and my responses to them. So do I. In a sense, it’s not even a choice. The world has a huge investment in the current energy infrastructure, and it is simply not going to write it off. The idea that there could be a “moon shot” to go all renewable in ten years is not going to happen. I also agree with Gates that today’s technology needs to include nuclear. It is the only low-emissions, 24/7 technology now available, and its safety record is astonishingly good compared with conventional fuels (even without including pollution-related premature deaths). And yes, that includes Fukushima, which was poorly designed and sited. New nuclear plants are much better; Gates himself is an investor in a new nuclear technology. Turkish President Erdogan is using the botched bid to unseat him to further his authoritarian agenda. As if from nowhere, a section of the Turkish armed forces attempted a coup d’etat on July 15. At 10 p.m., reports of gunfire near the General Staff headquarters in Ankara, Turkey’s capital, began the barrage that lasted till 2.30 a.m. on July 16, when the national intelligence agency (MIT) said that the coup had been “thwarted”. Chaos reigned in the intervening hours. The soldiers and their heavy armour held sections of Ankara and Istanbul, including some media stations and parts of the transportation network. Two hours into the coup, the security services had begun to tell reporters that the unrest had been inspired by the U.S.-based Islamic scholar Fethullah Gülen. Turkey’s President Recep Tayyip Erdogan took to FaceTime, a videotelephony app, to ask people to go onto the streets to defeat the coup. From the mosques, imams also called for public action. By 12.35 a.m., the Special Prosecutor had already begun to frame charges against the coup leadership. It was clear that this coup — the sixth in Turkey’s modern history — had failed before it could be consolidated. A new documentary tells the story of Stuxnet, a computer virus developed, it is claimed, by Israel and the U.S. to disrupt the Iranian nuclear project. In an interview, filmmaker Alex Gibney talks about Israel’s responsibility for the revelation of the operation and its eventual spread around the world. Are we already in the midst of what Gibney calls ‘World War 3.0’? NEW YORK – The two following assertions sound like something out of a James Bond movie: 1. We are in the midst of a new global war on a scale of the world wars of the 20th century, and, 2. The countries that have declared and launched the war refuse, in effect, to acknowledge its existence – or being held accountable for its outcome. These notions are not some Hollywood fantasy: They underlie “Zero Days,” the new film by the Oscar-winning American documentary filmmaker Alex Gibney. The film is based on years of in-depth research, carried out with the help and cooperation of more than 100 journalists, information security experts, senior personnel at the U.S. National Security Agency and the Central Intelligence Agency, and Israeli figures including Yuval Steinitz, the national infrastructure minister who is also responsible for the Atomic Energy Commission, and the former director of Military Intelligence, Maj. Gen. (res.) Amos Yadlin. “Zero Days” tells the constantly surprising story of the Stuxnet computer virus, which, according to Gibney and his sources, was developed by Israel and the United States during 2007-2008 in order to thwart the Iranian nuclear enterprise. Considerable information about the virus, including Israeli and U.S. involvement in its development, became public in September 2010, a few months after Stuxnet was first detected by information security firms. To examine the strategies and policies of the administration’s response to cybersecurity incidents. To review the growing market for threat intelligence, the pros/cons of making attribution after cybersecurity incidents, and the benefits of clarifying international norms of cyber operations. Hostile actors remain undeterred from conducting cyberattacks because of the relatively low costs of entry, the perceived payoff, and the lack of significant consequences. Russia and China continue to view offensive cyber capabilities as an important geostrategic tool and will almost certainly continue developing them. The Department of Defense (DOD) plans to spend almost $1 billion by the end of this fiscal year to implement one element of the Joint Information Environment (JIE); however, the department has not fully defined JIE's scope or expected cost. 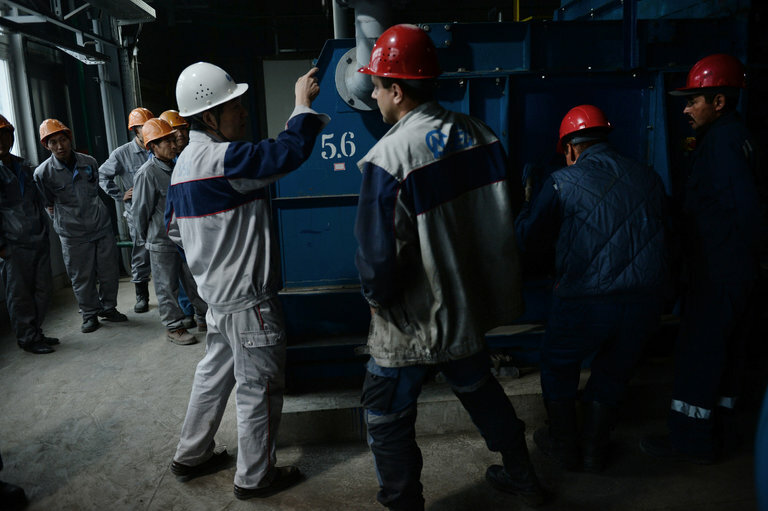 Officials reported that assessing the cost of JIE is complex because of the size and the complexity of the department's infrastructure and JIE's implementation approach. However, without information about expected JIE costs, the ability of officials to oversee and make effective resource decisions is limited. 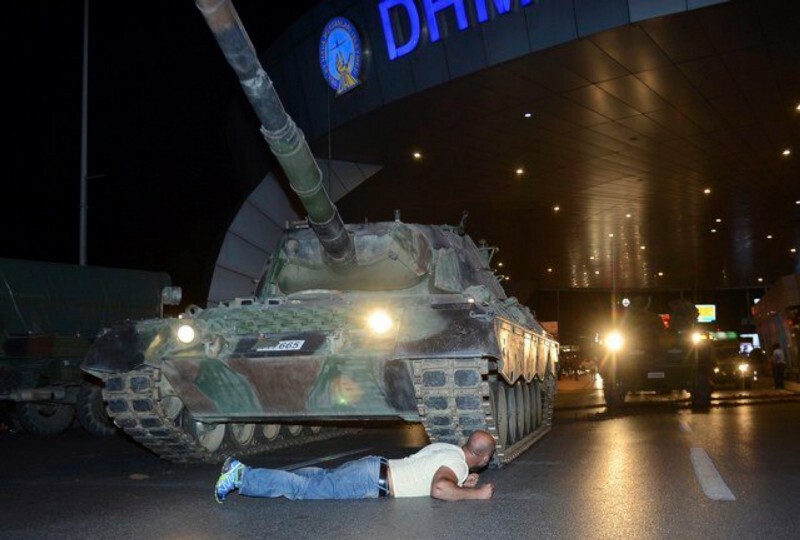 Turkish Tank Man is what a failing coup looks like. Mere hours after the putsch in Turkey has failed, it is still too early to understand exactly what went on. Given those constraints, I still want to discuss something which has altered “the game” so much that the existing guidebook needs to be significantly revised. A coup is basically a sucker punch. The trick is to end the fight before it even begins. The members of the coup are in the minority and a long drawn out fight, even if they win, will not have the trappings of legitimacy or stability. The goal is to have a rapid attack against the existing leadership and replace them before anyone knows what happened. At the same time, the general population needs to be kept out of the way, because large groups of civilians complicate things to no end. TEHRAN - The commander of Iran’s Civil Defense Organization has said cases have been filed and submitted to the Foreign Ministry against faulty devices in cyber war tools that Iran has purchased from Western manufacturers. According to Brigadier General Gholam Reza Jalali, this is while there is domestic capacity to manufacture such equipment. Learning from the Stuxnet virus that ravaged Iran’s Natanz nuclear facility, the country has been beefing up its cyber-attack infrastructure. Tens of millions of Americans will have their credit-card numbers, hospital records, or digital identities hacked or stolen this year, RAND research suggests—victims of a cybercrime industry that now rivals the illegal drug trade in reach and sophistication. The numbers are more sobering than surprising. For years now, RAND researchers have documented the growing threat posed by a digital underworld where hackers sell their services like mercenaries and credit-card numbers can be had for pennies on the dollar. Their research has helped define that threat from the perspective of attackers, defenders, and the everyday consumers caught in the middle. Taken together, it offers a rare glimpse inside the secret world of cyber hacks and counterattacks—and some hard lessons for anyone with a computer or a credit card. The numbers alone are damning. A RAND report released earlier this year estimated that 64 million American adults had been notified in the previous year alone that their personal data had been breached—more than a quarter of the adult population. Some of society’s brightest minds have warned that artificial intelligence (AI) may lead to dangerous unintended consequences, yet leaders of the U.S. intelligence community—with its vast budgets and profound capabilities—have yet to decide who within these organizations is responsible for the ethics of their AI creations. When a new capability is conceived or developed, the intelligence community does not assign anyone responsibility for anticipating how a new AI algorithm may go awry. If scenario-based exercises were conducted, the intelligence community provides no guidelines for deciding when a risk is too great and a system should not be built and assigns no authority to make such decisions. Intelligence agencies use advanced algorithms to interpret the meaning of intercepted communications, identify persons of interest and anticipate major events within troves of data too large for humans to analyze. If artificial intelligence is the ability of computers to create intelligence that humans alone could not have achieved, then the U.S. intelligence community invests in machines with such capabilities. The focus of ground combat operations has shifted dramatically since the end of the Cold War. Relatively few operations now involve the defeat of a technologically and doctrinally similar force, leading to the conquest or liberation of territory. Preparation for these operations remains important, but ground combat branches also have a host of other priorities, some (including counter-insurgency and policing) harkening back to the origins of the modern military organization.